Case Study: Fuelling liveable architecture. Design true to your imagination with EcoSmart. For acclaimed Los Angeles architect Michael Parks, the vision behind ‘Rising Glen’ – a striking home in the Hollywood Hills – was to create a warm, liveable, inviting, paragon of modern architecture. “I find that so often, modern architecture tends to be cold and gallery-like, and I wanted to create something that felt like a home, by using a lot of natural finishes to offset the very defined, architectural lines and white walls that typically lend themselves to a cold environment,” he explains. Michael credits EcoSmart with helping him solve a major design dilemma, which was to create an open, six-foot wall of flame in a purpose-built cavity – within a tight budget. "The living room fireplace and cavity are built into a section of protruding wall that is defined by two floor-to-ceiling windows on either side," he explains. "Because of the size of the living room, and the height of the ceilings, a single, three-foot fireplace would have looked really small, so I had to find something that visually had the scale to match the room. “The ability to drop two XL900 Burners into the opening, and then have the sleek design aesthetic EcoSmart is known for, was a really great marriage." A third XL900 Burner has been used to great affect as a partition and focal point in the upstairs master bedroom and adjacent suite. 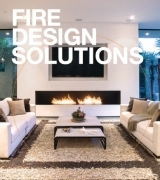 "I created a peninsular fireplace that basically divides the two spaces, the beauty being you can watch this beautiful fireplace from the bedroom section of the room, you can enjoy it from the lounge or, if you have the door open to the master bath, you can also watch the fireplace while having a bath," says Michael. "The space also includes a bar and fridge so that the homeowner doesn't have to leave their master suite to entertain." EcoSmart’s green credentials resonated strongly with Michael, who drives an electric car and who, like so many Southern Californian residents, is considered an influencer when it comes to environmental consciousness. “Clients, particularly those who live in this region, find the environmental benefits of a product very attractive,” he says. 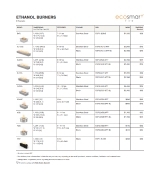 “EcoSmart’s use of bioethanol fuel is an added advantage, as is the look of the flame, which is better – especially once it gets going – than a conventional gas fireplace. 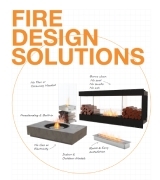 EcoSmart’s collection of bioethanol fireplaces are renowned for their installation versatility, enabling architects like Michael to create a fire feature exactly how they want, wherever they want. “The flexibility that EcoSmart has afforded me in both design and build processes absolutely helped me to realise my design vision,” he says. 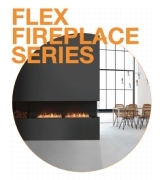 “The constraints you have when working with a pre-built gas fireplace really limits your creativity and the ability to design true to your imagination.